Anyone with curly hair knows that waking up every day is an adventure. Some days you get out of bed looking like there’s a huge, dead animal on top of your head, and other days you wake up looking like the star of a curly hair shampoo ad. With naturally curly hair, you never know what you’re going to get, so finding products that can make your hair a little more reliable every morning is like finding gold. Julie Simonsen, a selling specialist for Lilly Pulitzer in Philidelphia, has natural curls that went rogue once she cut off her hair. But, because of the product she recently discovered, every one of Julie’s friends can’t help but ask how she gets her hair to look great every single day. 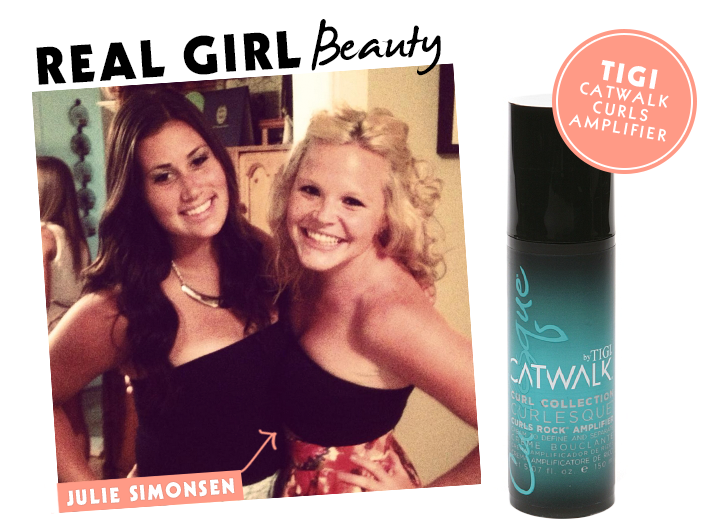 We caught up with Julie to learn her hair secret. Read on below!